ZAMBIA Volleyball Association (ZAVA) general secretary, Charles Haambote has said the Sports Council of Zambia (SCZ) legal and disciplinary committee misdirected itself as it has no powers to ban his executive committee. And ZAVA, in a bid to mitigate the situation that also threatens the national men’s team preparations for the crucial World Cup qualifiers set for Egypt next month, has sought audience with Sports Minister, Chishimba Kambwili. 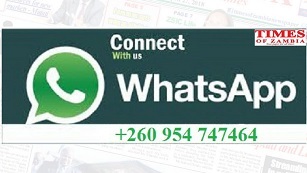 Speaking in an interview following a five-year ban that was slapped on the entire ZAVA executive committee for allegedly bouncing a cheque worth K24,000, Haambote said the SCZ legal and disciplinary sub-committee misdirected itself and probably misinterpreted the SCZ Act. “I have read the SCZ Act and it’s a good thing it is being reviewed. There is nowhere in the Act where the powers to suspend or ban a member are given to a sub-committee or even the board. The board is just an organ of the SCZ. “Maybe they were looking at Section-10 of the Act which gives the powers to suspend a member association to the council. That part, in fact says the council and not the board or a sub-committee. The council means all affiliates and the board, something like congress,” Hamboote said. He said the SCZ Act stipulates that the board could only recommend to the council to have a member suspended and that the ZAVA was questioning and would challenge the decision of the legal and disciplinary sub-committee. Haambote said the Act also states that once suspended, an association could appeal to the Sports Minister and considering that the procedure could have been flouted, ZAVA wanted the minister to hear them since they doubt they would get a fair hearing from the board. He said the association felt it would not have a fair hearing because SCZ chairperson Mwamba Kalenga was at the National Sports Development Centre (NASDEC) where he briefed the sub-committee before they started with their sittings. He also said ZAVA was not afforded a chance to be heard by the sub-committee last weekend, even after waiting for more than four hours. Haambote said his executive wrote to the committee asking to be given another day but never got a reply but instead slapped them with a ban. “We are yet to receive the letter but if it’s based on the charge, then we have serious misgivings because the charge was not clear. Even the preamble was difficult to understand. Procedurally and legally, there was misdirection,” he said. The SCZ at the weekend banned the Gabriel Muyinda-led executive committee for five years and also dissolved the Zambia Amateur Athletics Association (ZAAA), a decision it rescinded just 12 hours later, claiming there was fresh information that had emerged. Meanwhile, Zambia Sports Fans Association (ZASOFA) strongman Peter Makembo advised SCZ to take a reconciliatory role unlike rushing to ban and suspend associations and individuals. Makembo said the recent happenings in SCZ looked like the national sports motherbody had some scores to settle with some associations which he said should not be the case. “SCZ should act like a parent. The best would have been to call these associations and individuals and hear them out. Find out their problems before making such decisions,” he said.